Home Springdale School Community Assn. 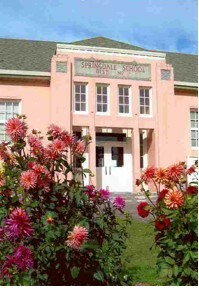 A local non profit organization, the Springdale School Community Association, Inc.
To preserve and enhance the Springdale school property in cooperation with the Corbett School District and facilitate its use for cultural, educational and social activities for the community. The Annual Meeting will be held in June. Board meetings are held quarterly. Please contact us if you would like more information. Membership is $30 per family or $15 per individual annually. Donations to SSCA are tax deductible to the fullest extent of the law. Please consult your accountant as to the latest rules on charitable donations. Please join or renew today! Also contact SSCA to help with yard work by volunteering. SSCA members & volunteers have completed many important maintenance projects in the past, including saving the play shed and repairing water damage to the building. Our most active committee is the Springdale Children’s Garden (SGC) run by parent volunteers. Love to weed, mow, plant or help things grow? Anyone can join and help, just contact the school and they will get you in touch with the appropriate folks. We did it! 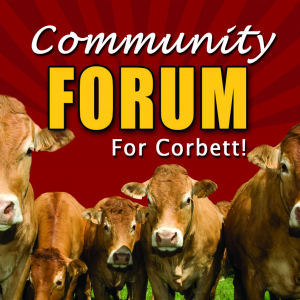 In 2011 the SSCA vowed to help Corbett School District restore the Springdale School to its essential purpose: functioning as a school of classrooms once again. Our task became raising funds for the Play Shed restoration, one piece of the renovation crucial to the community as this space is often used for events from the Pig Roast to family weddings and National Night Out. We managed and raised $20,000 to give to CSD for this renovation, as well as additional funds for the brick installation and related landscaping including the new bench and bike rack. With the restoration of the school bell, and the imminent laying of the bricks we all contributed as symbols and vehicles of our support, this phase of the project now feels complete. Now we ask you to renew your membership in SSCA to help us continue our mission. This mission leads to a two pronged set of goals: to help CSD preserve the historic nature of the building, and the stewardship of the natural grounds the school is blessed to be sited on. Thank you so much for your support! I hope you and your families have a wonderful year!